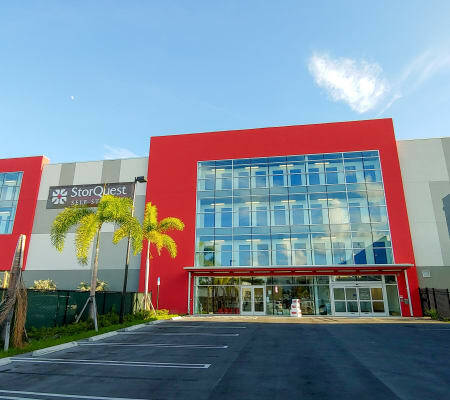 At StorQuest Self Storage, we designed our brand-new facility with everything you need to get in, out, and on to your next adventure. With access hours 7 days a week, we make it easy to pick up your longboard and head over to Miami Beach for some morning barrels. And with ground-floor units available, you’ll have no problem stopping by to grab your kayak or paddleboard, throw it in your truck, and get after the day. We aim to keep the stress levels low when you rent a storage unit with StorQuest Self Storage. Our fully fenced and well-lit facility in North Miami, FL, is primed with individually alarmed units and security cameras for your ultimate peace of mind. These state-of-the-art security features are designed to keep you worry free while you’re away from your gear exploring the endless adventures that North Miami has to offer. To make more room for awesome in your life, give us a call today and we’ll help you make it happen.